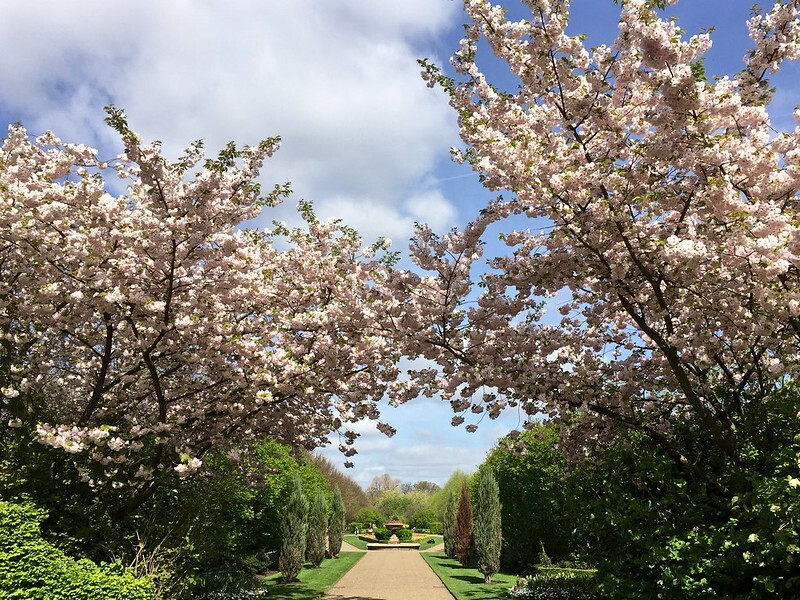 With the early spring and the continuing dry sunny weather, Regent’s Park is currently a great place to see cherry blossom. There are some wonderful trees to be seen in full flower while others will realise their potential over the next week or two. So here’s my report on the current state of play. 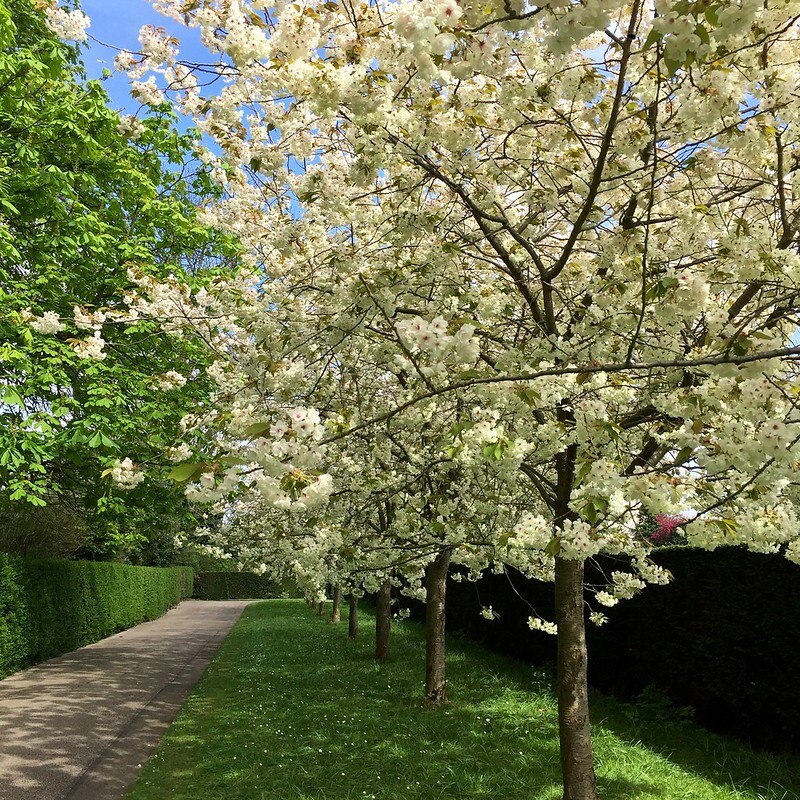 In Avenue Gardens there’s four wonderful trees framing the path which are in full flower right now. They provide a great background for the formal planting of tulips in stone urns, as you can see from the photo at the top of this post. The English gardens next to Avenue gardens are coming into flower with some trees in full bloom and others still in bud, so there’s probably a couple more weeks of blossom to come in this part of the park. 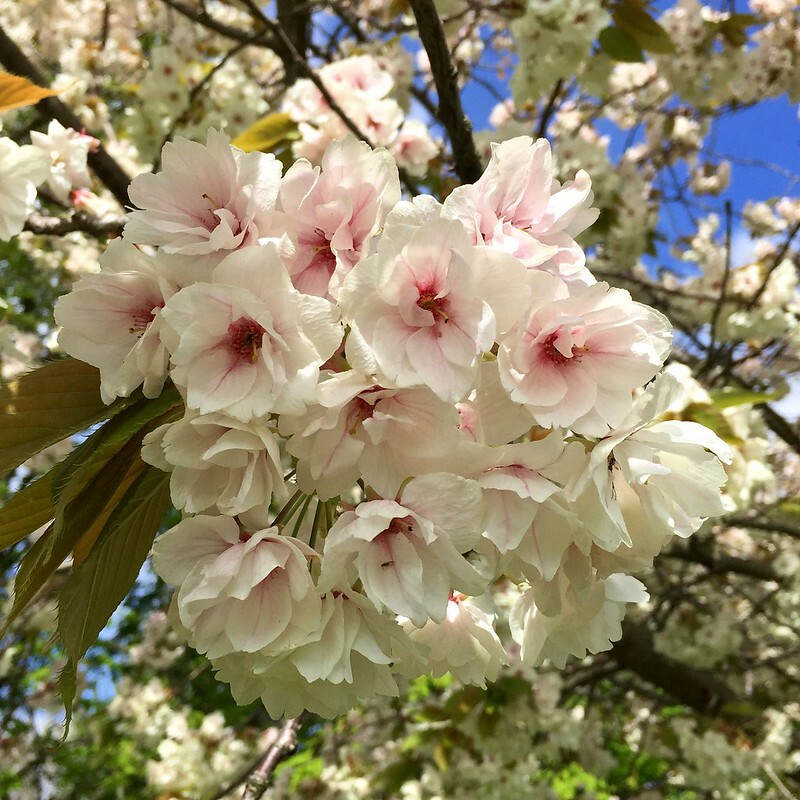 In Queen Mary’s Gardens there are individual trees in flower with pale or deep pink blossom. The spectacular white blossom at the Jubilee gate is lovely now but will be even better in a week’s time when it’s in full flower. From the Jubilee gate it’s a short walk to a row of ten white blossomed cherry trees between the open air theatre and the Triton fountain which are in full flower now. 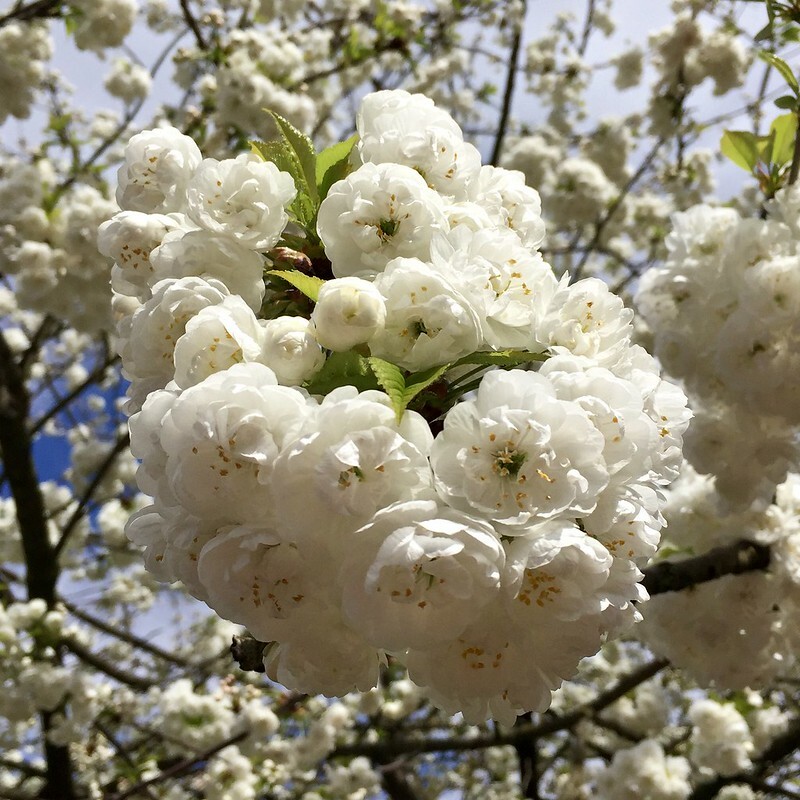 And I recommend finishing with a huge single pink cherry in the Community Wildlife Garden next to the tennis courts, which would be a great place for a hanami picnic. 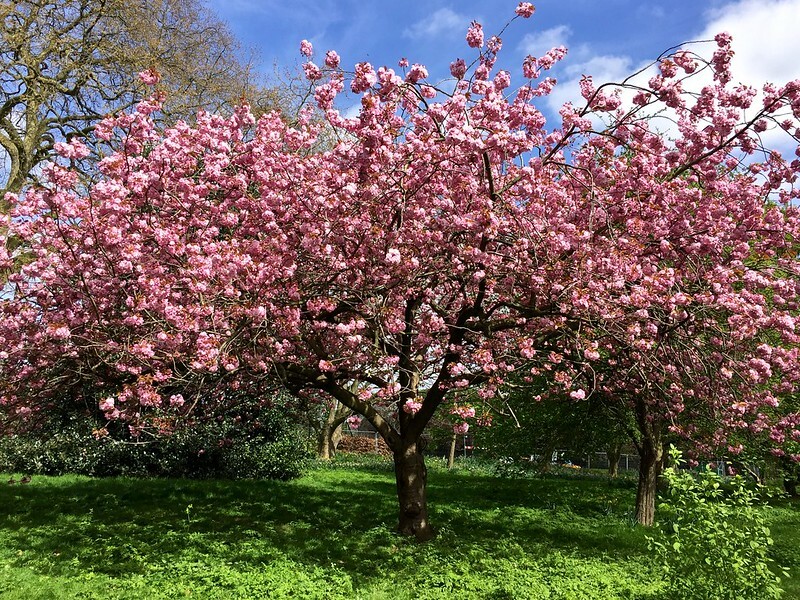 For other places to see cherry blossom in London, take a look at my London parks cherry blossom top five guide. 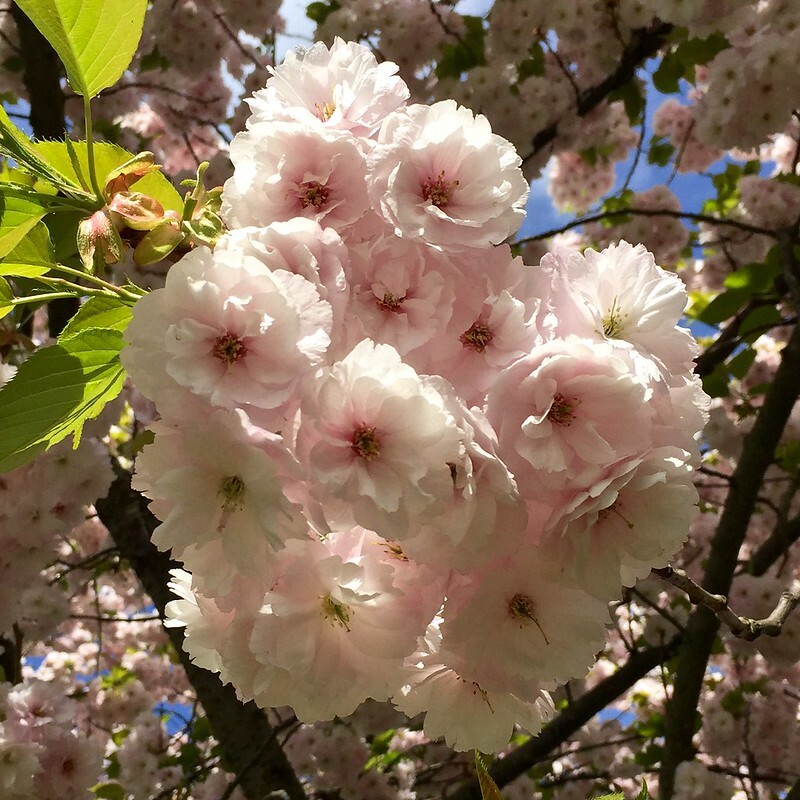 This entry was posted in Cherry Blossom, Regent's Park and tagged flowers, gardens, London, nature, plants, Regent's Park by Fran. Bookmark the permalink. Thanks for the great tip about the cherry tree near the Community Wildlife Garden. We had a great picnic there 2 weeks ago! That’s great! Glad to be of help.